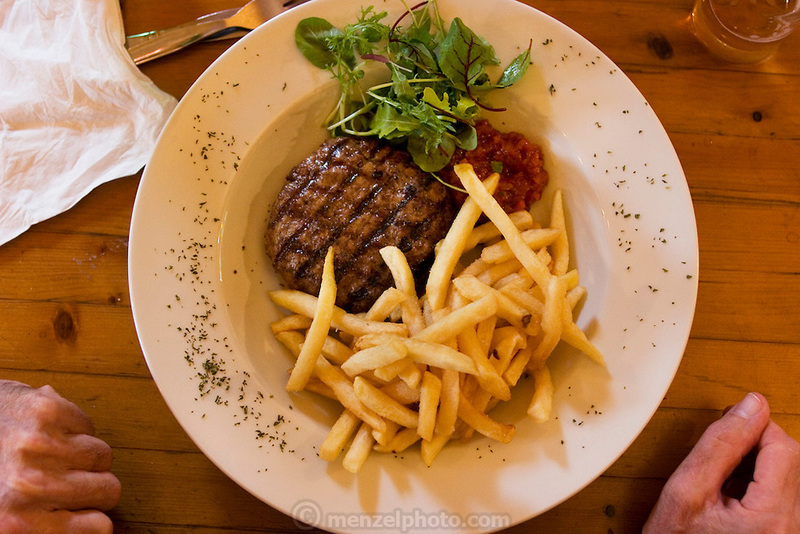 Steak and French fries: Close up of pub lunch plate at the White Horse Inn at Hascomb, UK. Lunch with Richard and Fenella Hodson, Godalming, UK. (Material World Family from Great Britain UK) and photographer David Reed.